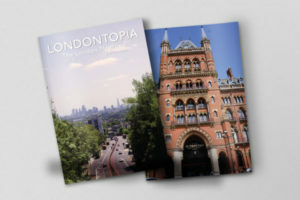 Editor’s Note: This article originally appeared in the Londontopia Print Magazine last summer. 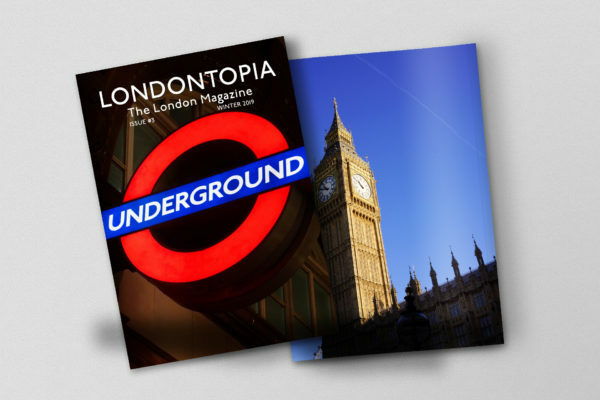 Support great long-form writing about London by subscribing to the Londontopia Print Magazine – the only print magazine dedicated completely to London. You can subscribe here. 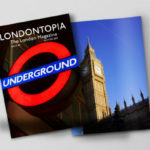 London is an incredibly posh city and some of the greatest places to live. Beyond the palaces of royalty, there are a number of stately homes throughout the city. Built by some of the city’s most influential and wealthy citizens, many of them exist today as museums to the former occupants or homes to presently important individuals. 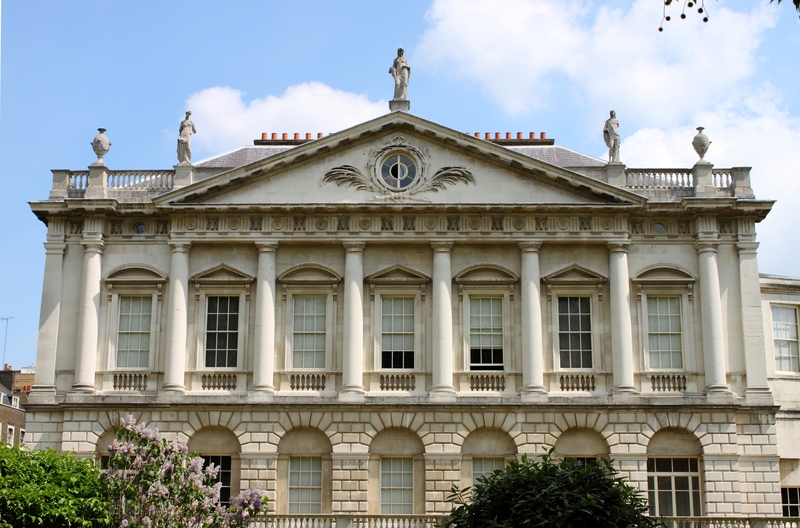 While most of London’s grand houses were long ago demolished, quite a few remain to explore. Many of London’s stately homes are available to visit, so enjoy this list of the city’s best and plan to visit one on your next trip. 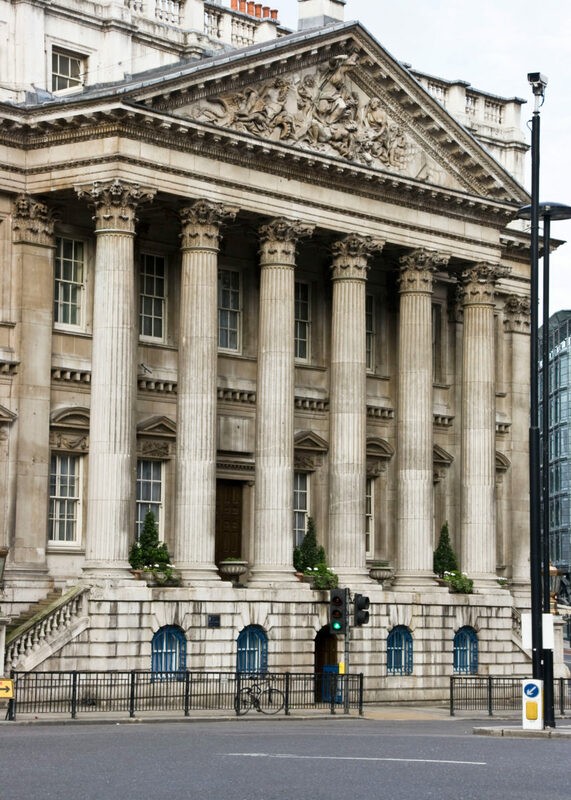 Built in the Palladian style by George Dance, the Elder, Mansion House has existed since its inception as the residence of the Lord Mayor of London. The Egyptian Hall, which also serves as a banqueting hall, is one of the home’s greatest features. Perhaps the greatest event Mansion House sees every year is the Lord Mayor’s Show, in which the current Lord Mayor begins and ends his parade through the city there. The house is not typically opened to individual members of the public, but groups of fifteen or more can set an appointment to tour the house with its official guides by contacting the Principal Assistant. 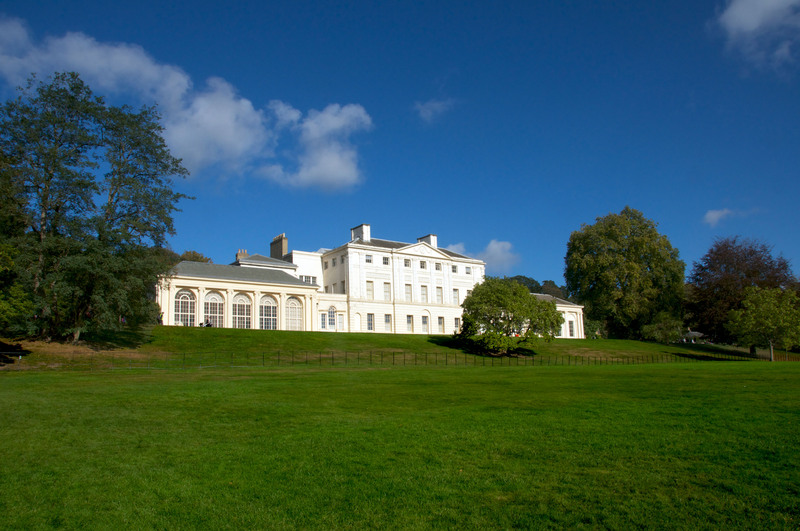 Kenwood House is a neoclassical home on Hampstead Heath and has its own beautiful gardens that add to the area’s beauty. The interiors are worth your time as well, from the Georgian and Neoclassical architecture to the vast art collection. The grounds often host classical concerts and has been used for filming over a dozen films and television programmes. The house is open every day of the week from 10:00 to 16:00, and the cost for the house and estate tour is £15.80, though you can access the grounds for free. 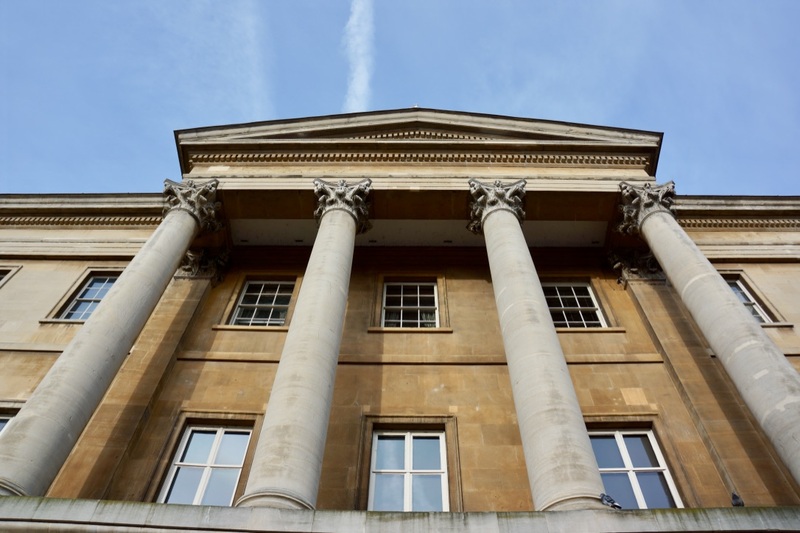 Built under orders from Princess Diana’s ancestor, John Spencer, First Earl Spencer, in the late 18th Century, and it remains in the family today. It was designed by James “Athenian” Stewart with his love of classic Greek architecture, which is certainly evident from the exterior. However, it’s the interior staterooms that are really worth viewing. Eight of the staterooms are open on Sundays from 10:30 to 16:30 at a cost of £12 for an adult ticket. Larger groups of 15 or more can book tours on Monday mornings. 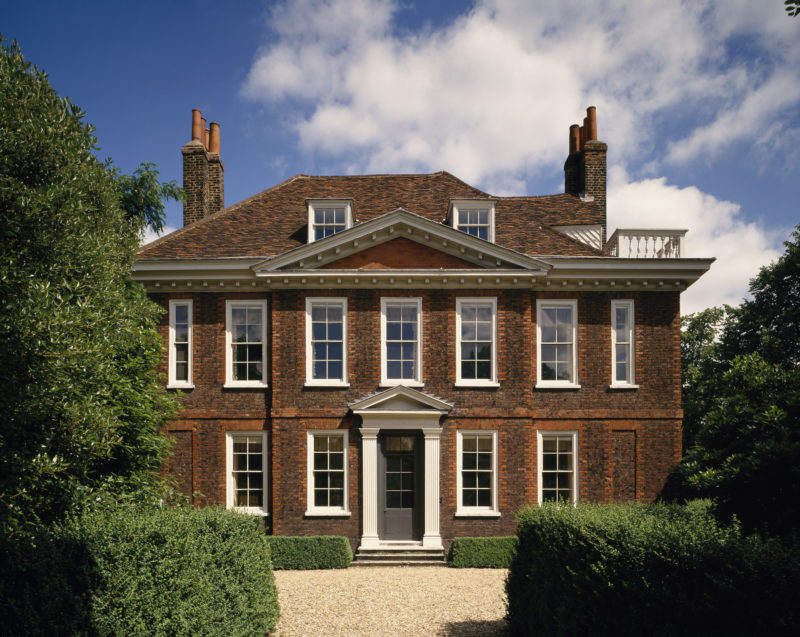 Also found in Hampstead is Fenton House, a 17th Century mansion today maintained by the National Trust. It was bequeathed to the trust by its last owner in 1952, and the interior contains the Benton Fletcher collection of early keyboard instruments, Georgian furniture, 17th Century needlework, and Oriental, European, and English porcelain. The gardens are also worth exploration and Apple Day in late September lets visitors enjoy some of the orchard’s wonderful fruit. The house is presently closed to visitors, but when it opens the cost of entry is £7.70. 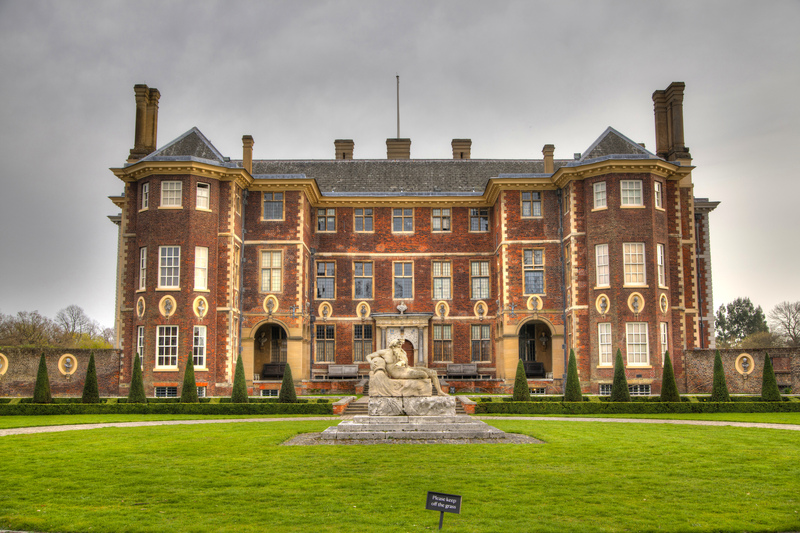 Speaking of gardens, Ham House and Gardens in Richmond on the banks of the Thames is certainly worth your time to visit. First off, it is the most complete surviving 17th Century mansion in all of Europe and has a history that includes many royal secrets and also a few ghosts. The artwork, furniture, and interior architecture is all perfectly preserved and will take you back in time more effectively than a TARDIS. The house is typically open from 10:00 to 16:30 practically every day with House tours from 12:00 to 13:00. Cost for tickets is £10.80 for adults, but be sure to check the calendar as the house does sometimes close for filming. The home of Frederic Leighton, the Victorian artist, is as gorgeous as you might expect an artist’s home to be. 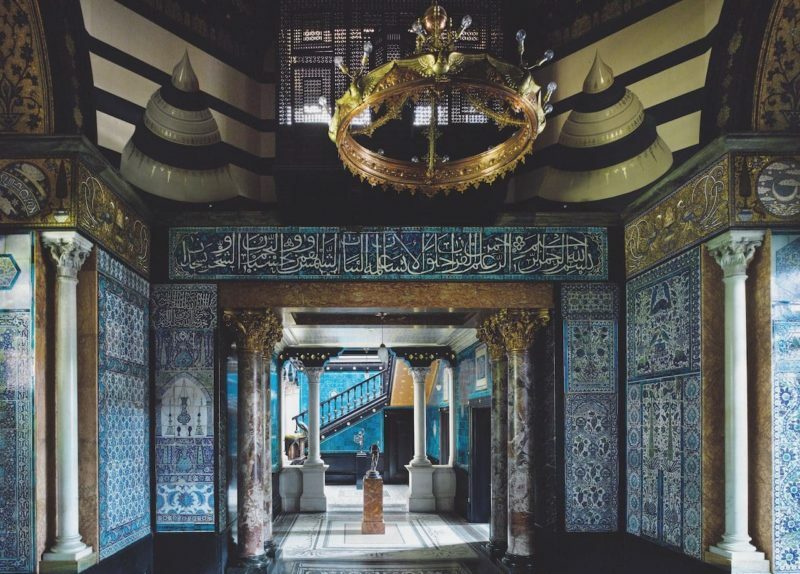 The Arab Hall is full of beautiful mosaic tile work, and the home contains Lord Leighton’s personal collection of Victorian sculpture, paintings, and drawings. Like a mini-art museum, the house also has revolving contemporary exhibits. The museum is open every day except Tuesdays from 10:00 to 17:30, with the last entry at 17:00. A ticket is typically £9 for adults with free tours offered on Wednesday and Sunday at 15:00 with the price of admission. 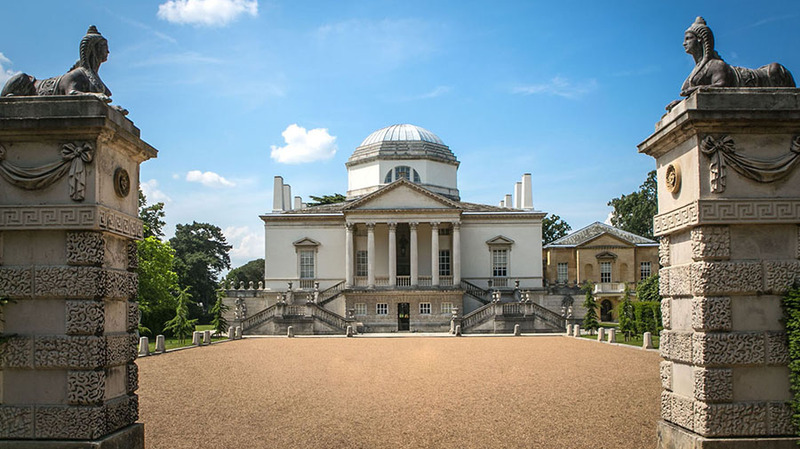 Another of London’s beautiful neo-Palladian mansions, Chiswick House was built by the Earl of Burlington as a chance for him to experiment with architecture and show off his love of art. Burlington’s intention was to have everything in a Roman style, including the garden, which is the real aspect of the house to see. Some of the highlights of the garden include William Kent’s cascade and the Ionic Temple. The house is closed during the winter but opens again on 31 March from 10:00 to 17:00 every day and the gardens are open year-round. 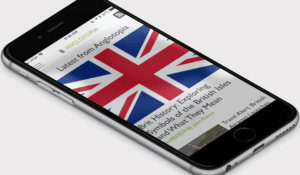 House entry fees are free for English Heritage members and £8.00 for everyone else. 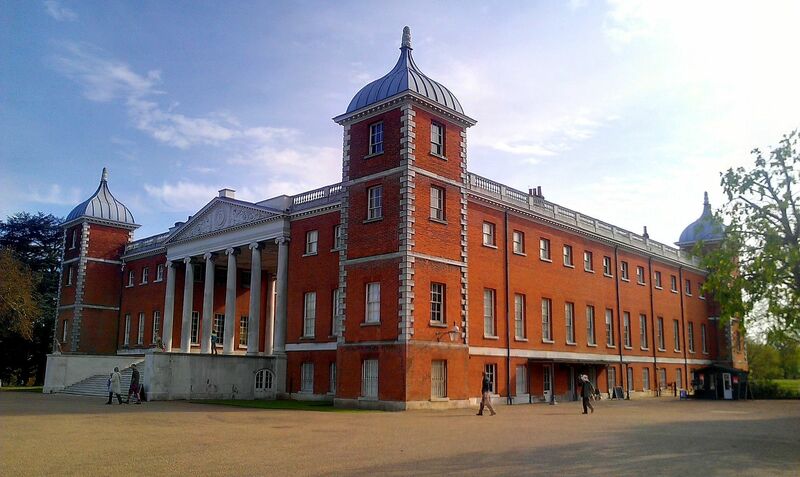 In the middle of a park of the same name in Hounslow, Osterley Park was originally built in the 1570s but revamped in the 18th Century to serve as a place of entertainment for the Child family that resided there. In addition to the domed ceilings and gorgeous tapestries, Osterley Park is home to ever-changing exhibits and even does itself up nice for the Christmas holiday. The National Trust has been in charge of the house and the gardens since 1991 and opens the house on Saturday and Sunday from 11:00 to 16:00, though the gardens are open every day from 10:00 to dusk. An adult ticket to get in is £10.90. Not to be confused with the song by John Lennon, Strawberry Hill in Twickenham London is possibly the most gorgeous London stately home both inside and out. 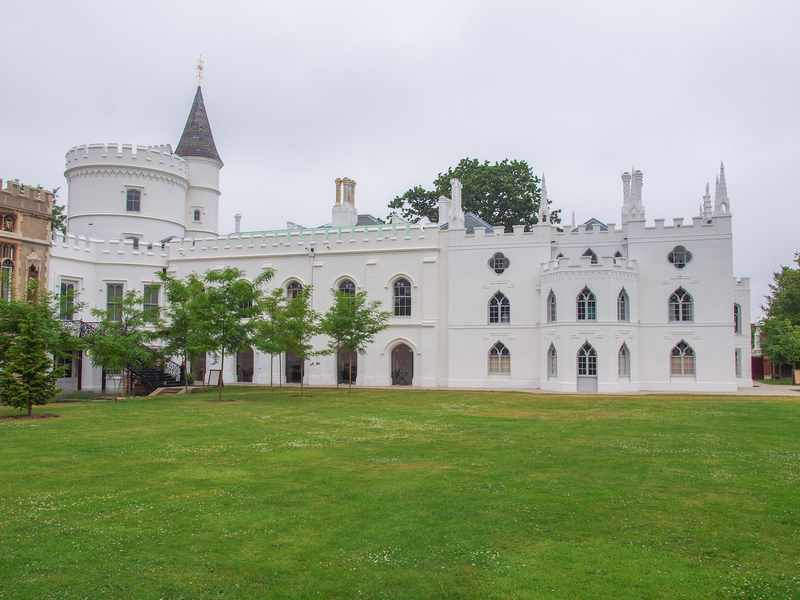 The 18th Century mock-gothic house was built by Horace Walpole, and his eccentric architectural style is present throughout the home, transforming it into a castle on the outside and a cathedral on the inside. The house hosts a number of events every month from a dinner club to the Christmas Fair in November. The house is open from 11:00 to 16:00 on Sundays and 12:00 to 16:00 on Mondays and closed for the remainder of the week. The cost of an adult ticket is £12.50 and well worth it.